Due to the sensitive nature of the work, I regretfully cannot share work publicly on this portfolio. Rest assured though, these products can be seen demoed onstage at Apple events, featured in App Stores and found on the shelves at your local Best Buy. In association with GE Healthcare, we researched, designed and developed a patient information view (PIV) application. This application is meant to serve doctors and other healthcare practitioners who need a quick and easy way to get a complete picture of patient information. This tool is meant to be used at various points throughout a typical patient visit. We have many great deliverables from this project, including reports, videos, and a working prototype. Unfortunately, I am unable to share them all publicly on the internet at this time. 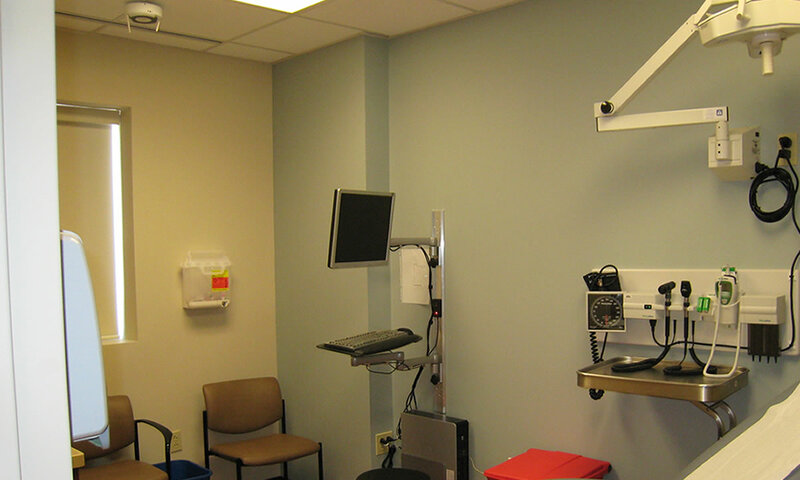 In order to fully understand our problem space, we have performed interviews and observations with a variety of healthcare practitioners from several hospitals in North America. The focus of our visits was to see doctors in their natural work context to get a complete understanding of their workflow. To preserve our data we recorded our interviews, and later transcribed our interactions with the doctors and categorized our findings. We also modeled the flow of information, the workplace culture and the physical layout of the visited facilities. We have come to a number of findings based on user research across various hospitals and clinics. While our research emphasis was focused on things within the scope of the PIV, the nature of our contextual research meant that we came away with many findings both in and outside of this scope. In total, we came up with 29 different findings grouped into four categories: integration, presenting relevant information, usability, and patient interaction. Through sketching, wireframing and prototyping our design, we have created an experience unlike any other medical software. We worked continually with our target users to help refine our ideas, while also enganging them in participatory design sessions throughout. We ran multiple rounds of usability tests to iron out the kinks and to create an interface loved by the doctors who tried it. 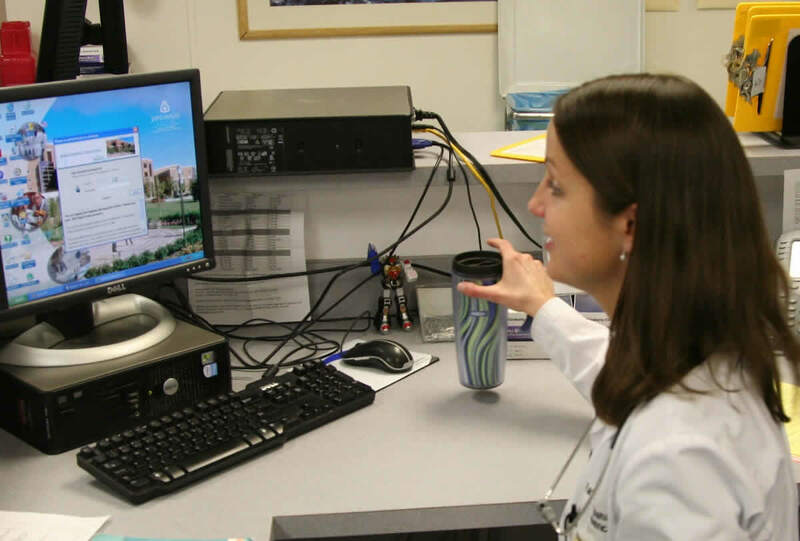 With the PIV, less time will be wasted at the computer, meaning more face-time with patients. Clear visual design calls attention to crucial patient information to minimize critical risks, and is a departure from traditional medical software. And finally, easier access to relevant information aids the process of clinical decision making. The PIV has taken a fresh, new approach to viewing patient information to better support patient care. We think this is big. As Project Lead I was responsible for all client communication, project visioning, team management, and client presentations. 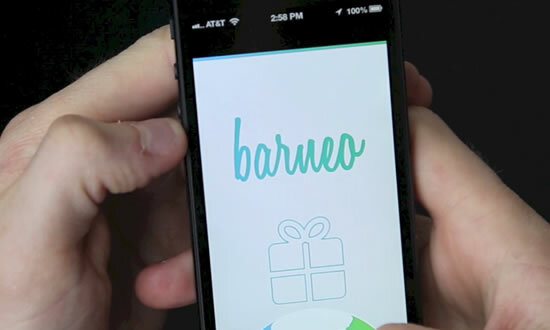 barneo brings the magic of the holidays to your iPhone. Easily manage your gift lists with this simple and stylish application. "Magic Photo" makes adding images for your gifts a cinch, and barneo integrates with Facebook so you always know when someone's birthday is coming up. The initial prototype was brainstormed, sketched and created in one long weekend with my floatlabs co-founder Rich Cameron. We have since followed an iterative design process to continue adding features and improve upon the user experience. Unlike our previous effort of CloudNote, we have taken a different approach to design and development. For our second App Store title together, we focused on faster front-end iteration. Additionally, instead of building our own backend infrastructure from scratch, we've utilized APIs like Parse to do some of the heavy lifting. Although a side project, we are excited about where we'll be taking barneo in the future. There's endless possibilities, partnership opportunities and iterations ahead. CloudNote is a cross-platform application which runs on the iPhone, Mac Dashboard, and on web (coming soon to iPad). Each application seamlessly syncs its data with the others through our custom-built service. Furthermore, sharing a note with another CloudNote user is as painless as bumping two iPhones together or sending an email invite. CloudNote continues to gain new features and popularity over time. CloudNote is a proud winner of the Bump API contest for innovative use of Bump's API. CloudNote runs on a complex system written entirely by myself and Rich Cameron. The server software runs on a standard LAMP stack meant to scale with high-demand. The iPhone, widget and the website all communicate to the same API, receiving JSON as the output. Whenever a device edits a note, the changes are instantly saved to the server. The server is even smart enough to use a smart diffing algorithm to make sure that if two people edit the same note at the same time, no content is lost. Although we poured time, sweat and blood into CloudNote, we unfortunately made the difficult decision to pull it from the App Store. Free competition from the likes of iCloud and Evernote, as well as our own competing priorities, have forced us to cease development. CloudNote is still fully operational though for anyone who still has a copy on their iPhone. The Pittsburgh Post-Gazette came to the Carnegie Mellon School of Design for help creating something new and innovative to help bolster revenue. Since this project was for a service design class, we took a very close look at all aspects of the newspaper. 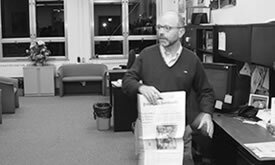 We decided to leave print alone (something which still worked well for the Post-Gazette audience), and instead focused on how we could attract the younger internet generation. Through new interactive features and tailored services, we imagined the future of local news consumption. We created a vision video as well as mockups and prototypes of our final design. 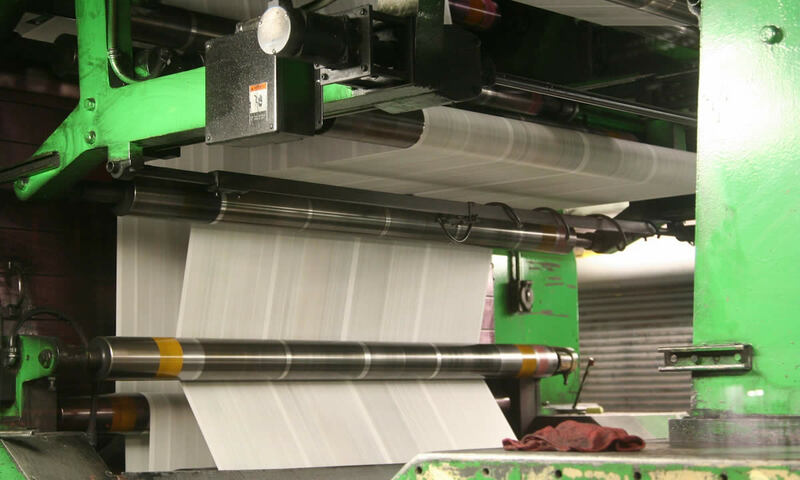 We took a deep dive into the Newspaper industry, and specifically into the business model of the Pittsburgh Post-Gazette. What we learned undoubtedly shaped our thought processes and design decisions. Here's an abbreviated overview of our process. We began by exploring our problem space. We started this process by reading relevant books and articles. We then constructed a territory map intended to map out everything we knew (and didn't know) about the space. We continued by performing surveys and interviews and by ultimately crafting our Hunt statement. Our next step was to move into generative research. In this stage, we engaged potential users in activities to collect emotive data based on their experience with news media. We wanted to both confirm our insights from the exploratory phase, and to understand the goals and desires of our potential customers. By generating design documents with actual users, we could gather various perspectives and keep our design user-centered. We then formed typologies from the information gathered to represent our user base and understand for whom we were designing. Taking what we learned from our generative research and three user typologies, we were able to synthesize core details regarding user behavior. We wanted our design to address our research insights of relevancy, immediacy and the push and pull of information. Therefore, we envisioned a future where people are connected and a part of the news experience. We took our research and crafted our designs to meet the challenges that we found. In addition to design mock ups, we also created an emotional video piece showing how our new solutions could fit in a reader's lifestyle. We then vetted our design solutions with members of the Post-Gazette staff and provided a proposal for them to implement our solutions. This project focused on the human-robot interaction methods for an elderly user. 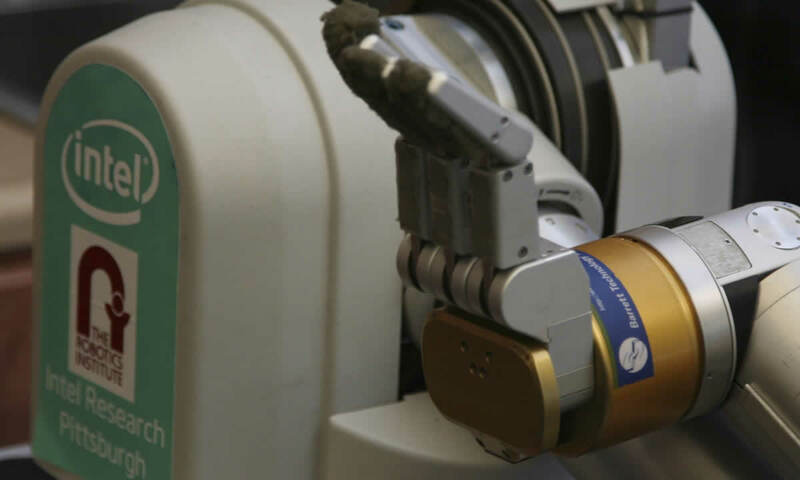 Our test robot, HERB, was an advanced robot with moveable arms, advanced visioning, and a Segway base. In collaboration with other teams across Carnegie Mellon University, we worked for a semester to help vision how one might control HERB in the year 2020. As the population of elders continues to rise, so does their wish for prolonged independent living. Accordingly, there is a growing interest and need for technology to provide some level of assistance for in-home care. Using contextual design techniques, we visited and met with many different elders and care providers to help come up with the best possible solution. Spatula is a rapidly prototyped concept for a cooking website that uses technology to enhance a user's cooking experience. Spatula improves meal planning by enabling users to easily find recipes, gather the requisite ingredients, and most importantly, by guiding the cooking process itself. 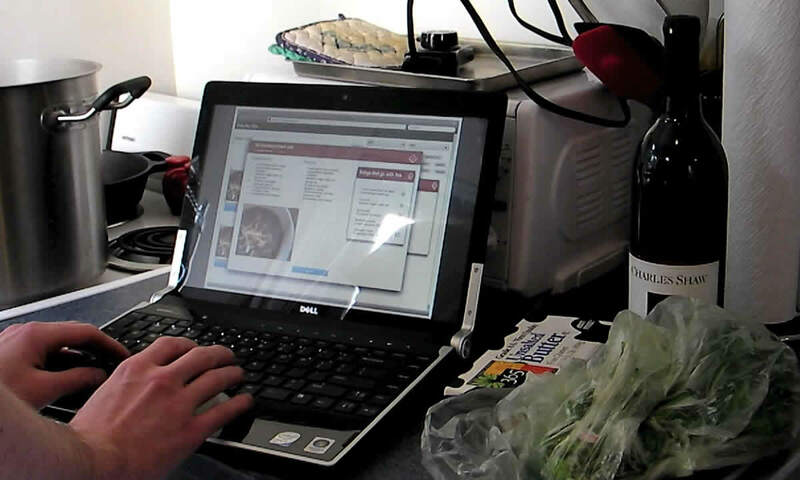 With Spatula, users no longer have to worry about making their computer messy while cooking in the kitchen. Spatula features not only voice commands for navigation, but also novel keyboard "gestures" to facilitate hands-free use (we lovingly call this interaction the "chicken dance"). As a complement to the website, Spatula offers a mobile app for on-the-go use while out shopping for ingredients. Keeping in line with our focus areas and design directions, we designed our web application to have a clean and organized look. 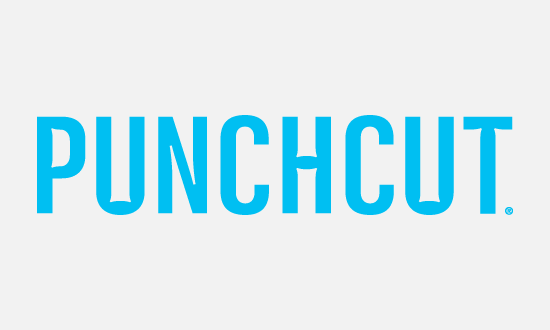 Our prototype includes functionality that allows for searching recipes based on keywords, planning a meal by adding one or more recipes, and cooking with an interactive dashboard. Recipe search includes an efficient keyword based search and also allows the user to filter the search based on pre-existing options. The search results display standard information about the recipe, including difficulty level, cooking duration and rating. The user can also click on a recipe to view it in detail and then optionally add it to the meal. While viewing a recipe, the user is also given complementary dish suggestions. The "My Meal" panel shows the recipes selected by the user and dynamically calculates the total time required to cook the entire meal. Furthermore, the interactive dashboard takes the user through the steps for all recipes in the meal, interleaved to optimize the total cooking time. The user can progress through the steps by either clicking through them, using verbal input or by keyboard gestures. An intervalometer is a tool used to help create time-lapse photography. I decided to create my own using an Arduino and some other low-cost parts. The device works by triggering the shutter (through the remote shutter interface of a camera) on a given interval. The user has the ability to set their desired interval between each photo. In my implementation, the user is also able to set the desired maximum number of photos to take. Additionally, there is an overview screen that shows the current settings and how many shots have been taken. The user interacts with the device using the dial (shaft encoder) to set values and a push button to toggle through the different modes. The LCD screen provides feedback to the user of the configured settings. 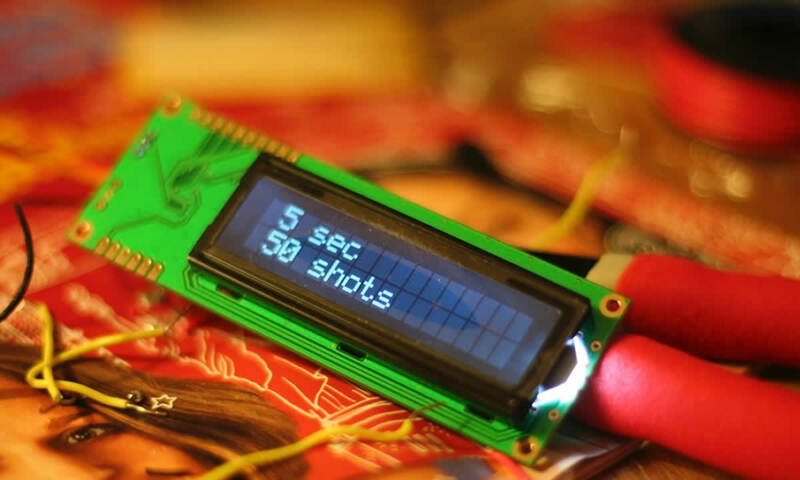 As an energy-saving measure, the LCD backlight will automatically turn off after 15 seconds of no user input. Any input thereafter will awaken the screen. There is also a tri-color LED which shows status of the intervalometer. 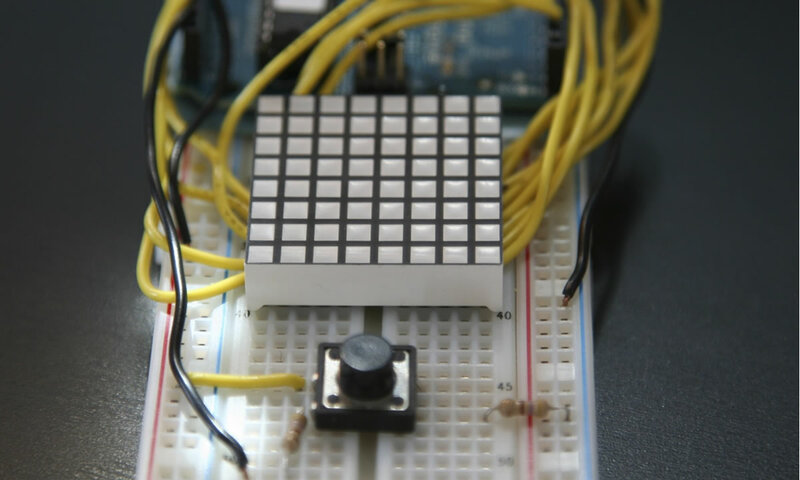 Arduino Copter replicates the classic game of electronic helicopter using only 64 pixels. This version of the side scroller features a dead-simple one button UI to move the helicopter higher in the sky. The side-scrolling happens automatically and the game will continue to speed up indefinitely. This game was rapidly designed and developed in under a week. Next steps would be to include sound, and some nicer animations. It would also be fun to think about what alternative input methods could be used instead of a button (e.g. sound input, or gestural). 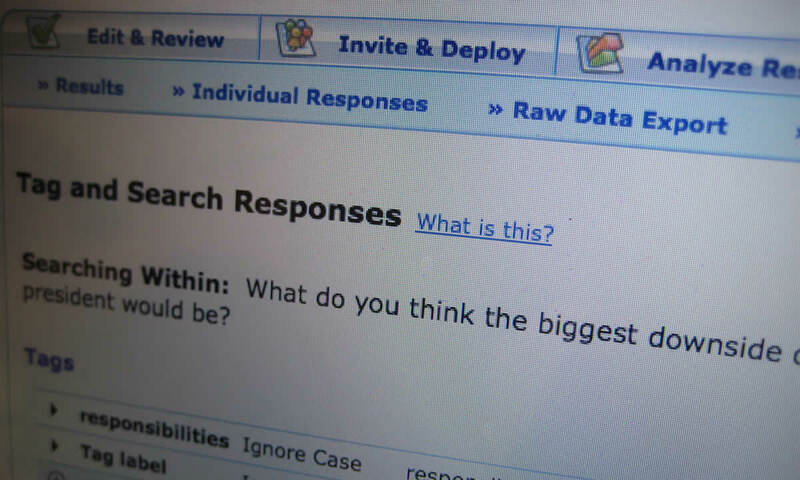 Zoomerang is a leading product used by millions for creating online-based surveys. Zoomerang users range from novices to expert market researchers. As such, the web application had to be both simple and powerful to satiate both crowds. Besides just a survey creator, Zoomerang also encompasses advanced functionality such as the ability to tag open-ended responses, user-deployable widgets and advanced HTML editing capabilities. As Lead Designer for Zoomerang, I was responsible for all future design improvements for the Zoomerang application (homepage excluded). I also worked closely with the product manager and product marketing team to help vision the future of Zoomerang. Nuance Mobile Care (NMC) is a new way for mobile carriers to provide top-class automated customer care, without having their users suffer through speech recognition systems. 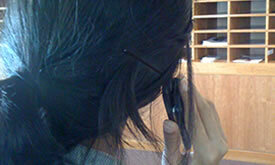 NMC's native application springs to life when a user dials 611 to access customer care. A multimodal UI allows the user to proceed with the modality of their choice. NMC was designed to run on the widest array of devices possible, whether it be a Motorola RAZR or Apple iPhone. As part of the design process, I created overarching design guidelines which balanced client brand, NMC brand, and device UI consistency. 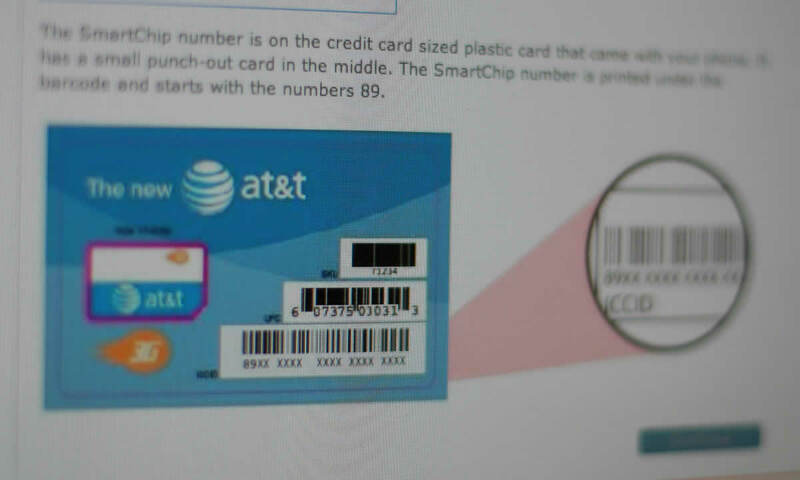 AT&T came to Nuance to re-design their GoPhone activation process with user experience in mind. The online activations system was in dire need of a visual refresh and an update to the latest web technologies. 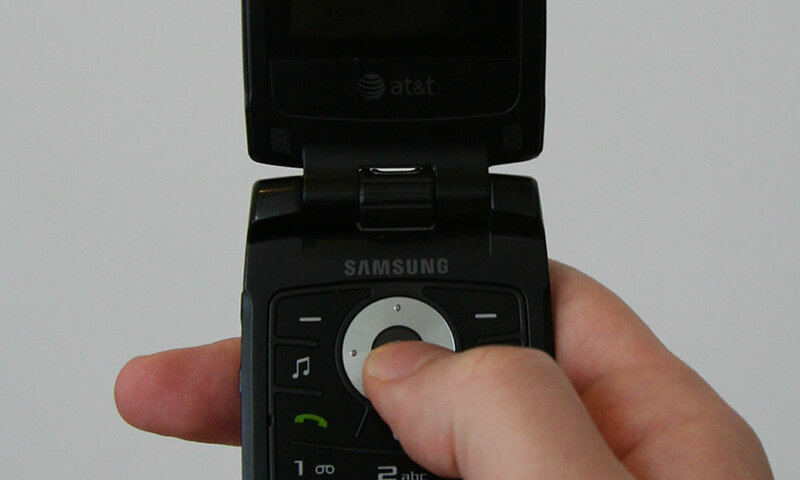 As the lead designer, I worked to simplify the process of activating a new GoPhone. I reduced the number of pages and made previously static forms interactive. Additionally, I focused on providing the user with better form feedback and validation (an important task when the user is charged with entering several long strings of numbers). Representing a leap forward in the way we track patient care, PETALS was written completely from the ground up with ease-of-use in mind. This customized software solution is currently being used by an expanding alternative medicine practice in Austin, TX. PETALS not only tracks a single patient's health and symptom levels from visit to visit, but also aggregates data from all patients' visits, and sorts and views them by any criteria desired. Furthermore, PETALS is HIPAA compliant, completely wireless-ready, and optimized for touch-screen and tablet interfaces. And, because PETALS is web-based, software updates can be rolled out on the server side, avoiding headaches and a lengthy update process for the end user. A client simply has a portal application sitting on her desktop, ready to go whenever she is. IDiOM uses creative design and an efficient interface to allow users to access a dictionary definition in seconds without even knowing how to spell the entire word. Using our own algorithm, IDiOM is able to recognize more than 200,000 English words, with better than 95% accuracy. The design takes into account the like-sounding nature of certain letters (e.g. 'b' 'd' 'e' 'g', etc.) and filters out "nonsense" words. The result is a full-fledged dictionary, complete with synonyms and usage examples, easy enough for a five-year-old to use. As Director of the Interaction Design team, I've helped design, imagine, manage and create world-class user experiences for clients both large and small alike. In association with GE Healthcare, we researched, designed and developed a better way for doctors to view and interact with patient information. Take the pain out of organizing gift lists for your friends and family, use barneo instead. 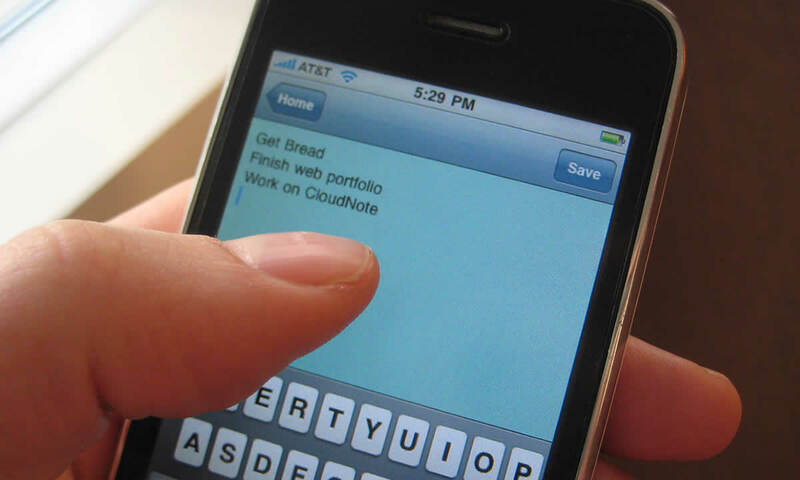 Sharing notes just became that much simpler with CloudNote. With a focus on simple and elegant design, CloudNote was designed and developed to ease the pain of mobile collaboration. Through extensive research, participatory design, and creative thinking we visioned the future of the Pittsburgh Post-Gazette.